SEND YOUR PICNIC PICTURES (or unidentified peoples' names) TO bochters@verizon.net AND WE'LL INCLUDE THEM ON THIS WEBPAGE. 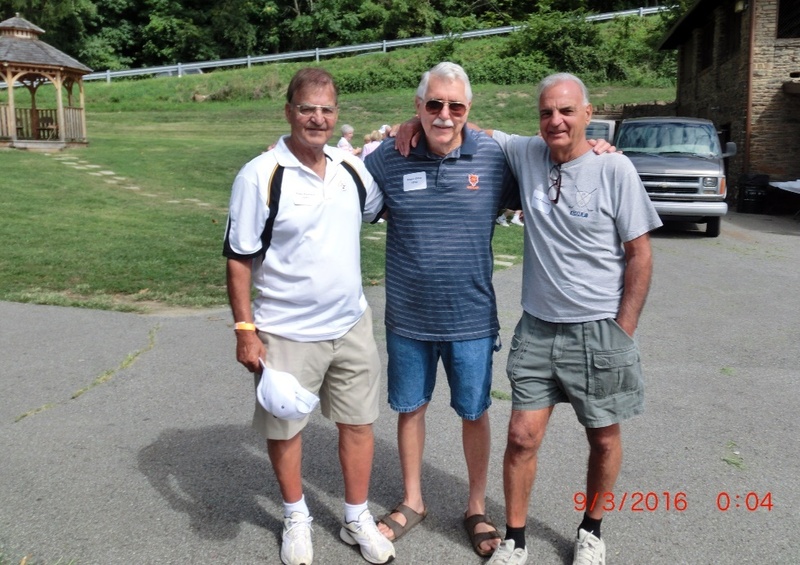 No.1, Tony Pastore (CHS'51), Rege Gillie (CHS'54), Carl Pastore (CHS'56). 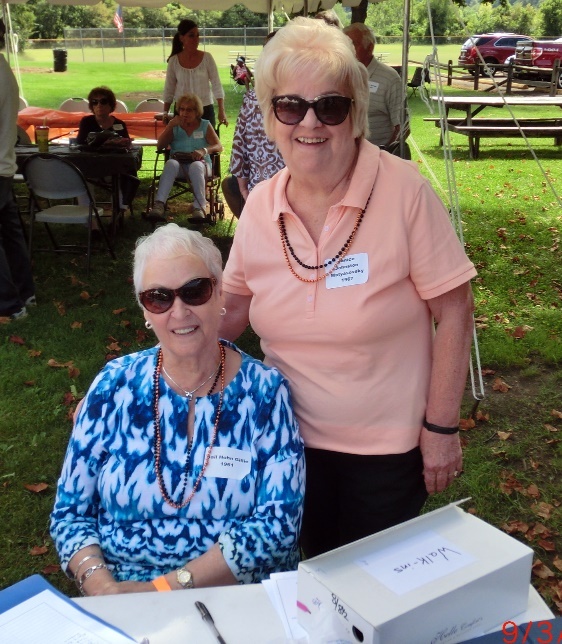 No.2, Judy Groff Hartill (CHS'62), Gail Hohn Gillie (CHS'61). 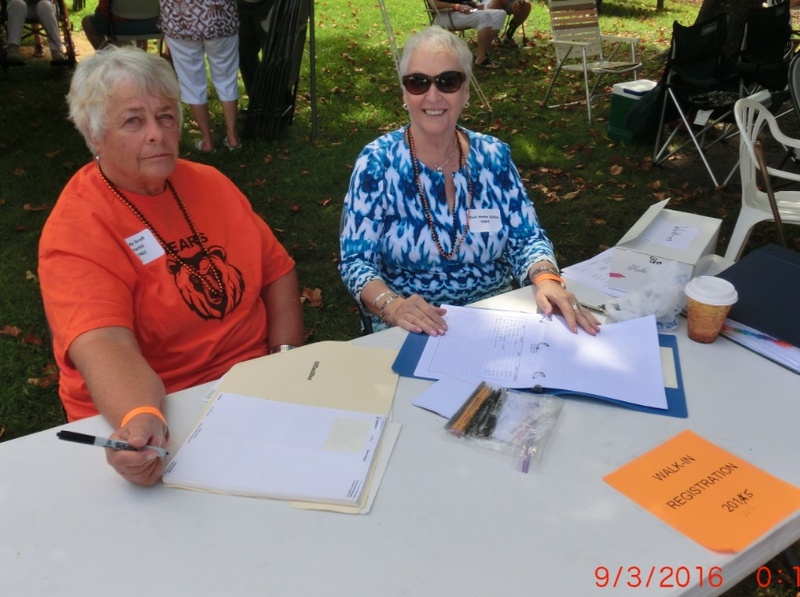 No.3, Gail Hohn Gillie (CHS'61), Janice Johnston Matyasovsky (CHS'67). 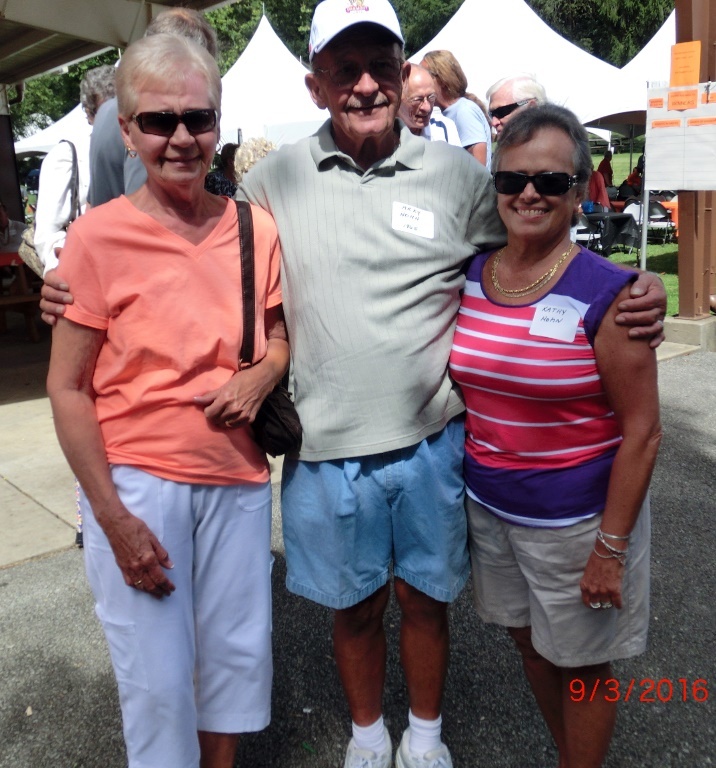 No.4, Sharon Hohn Waddington (CHS'60), Arky Hohn (CHS'65), Kathy Hohn. 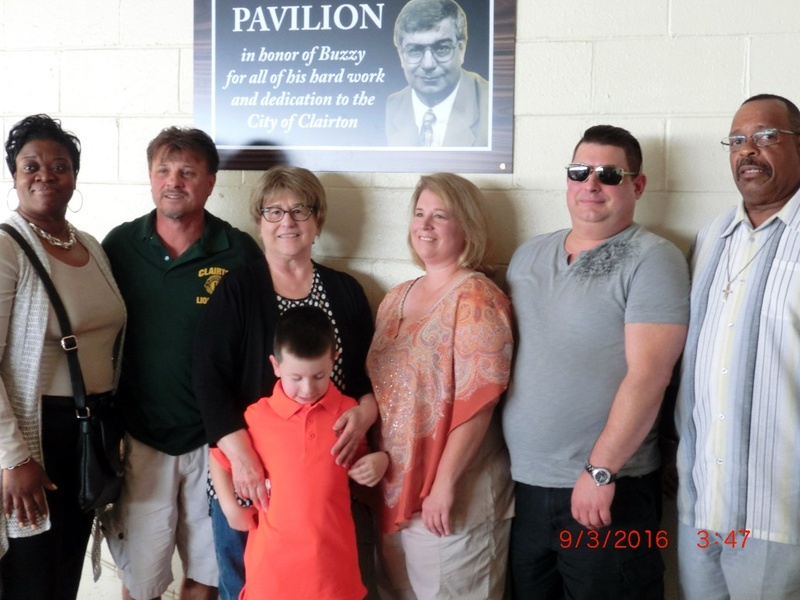 A brief ceremony was held during the 2016 CHS Reunion Picnic to dedicate the Pavilion near the Clairton Park Lodge to George "Buzzy" Weber. 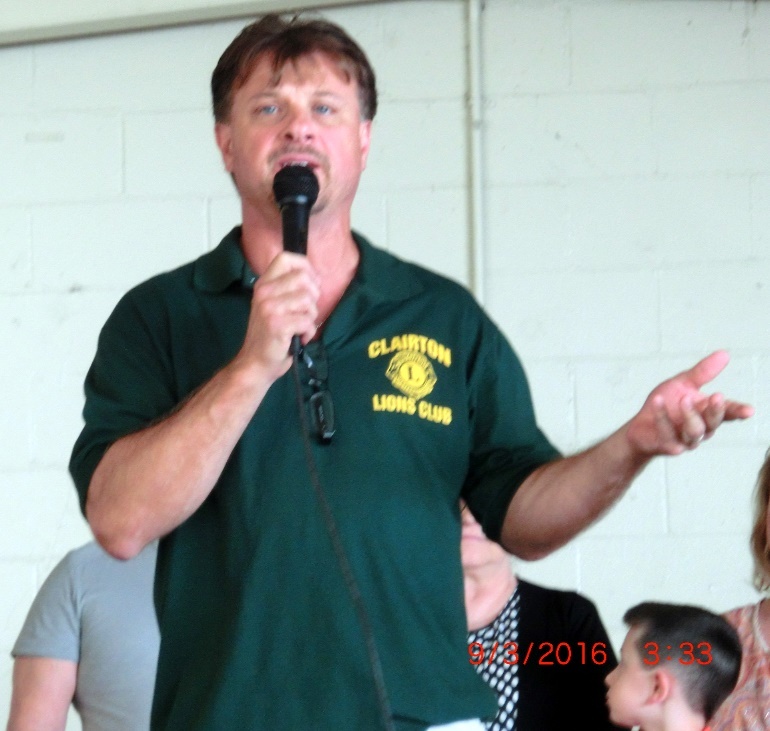 Mayor Lattanzi listed Buzzy's many acts of dedication to his home town of Clairton, PA. Sadly, Buzzy was taken from us on August 31, 2015. 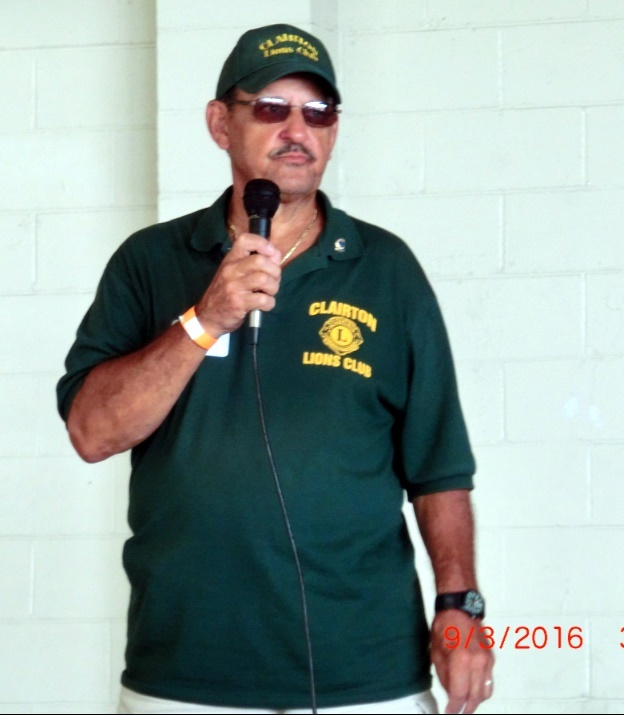 Buzzy was in the Clairton High School Class of 1965. 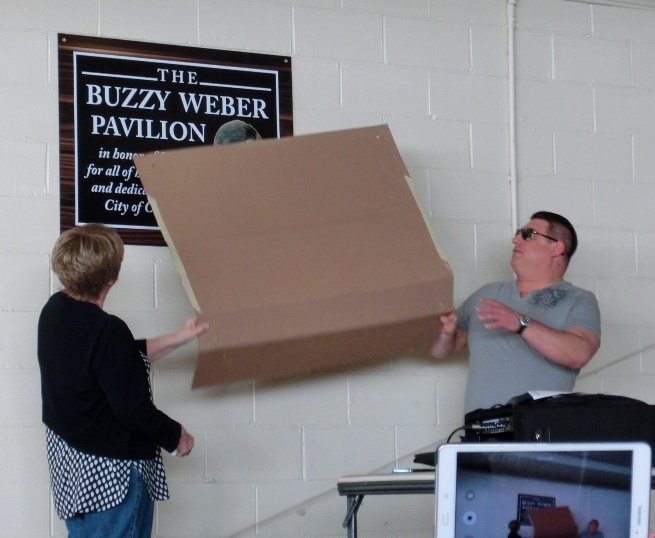 Buzzy's memory will be forever carried on through the naming of the Pavilion as the "Buzzy Weber Pavilion". WEBER, GEORGE T., JR. "BUZZY" Age 68, of Jefferson Hills, passed away on August 31, 2015. Beloved husband of Patricia (Churney) Weber for 46 years; loving father of John T. Weber and Jennifer (Kevin) Uhrinek; devoted grandfather of Jaxson; also survived by many nieces, nephews,and cousins. Preceded in death by his sister, Mollie Skinkis. George was a former Excutive for U.S.Steel and U.S. Steel Mining. Visitation will be Thursday from 2-8 p.m. at the JEFFERSON MEMORIAL FUNERAL HOME, INC., 301 Curry Hollow Rd., Pleasant Hlls. Blessing Service will be Friday at 10 a.m. in the funeral home chapel. Burial will follow in Jefferson Memorial Park. No.5, Ralph Imbrogno, introducing family of George "Buzzy" Weber. 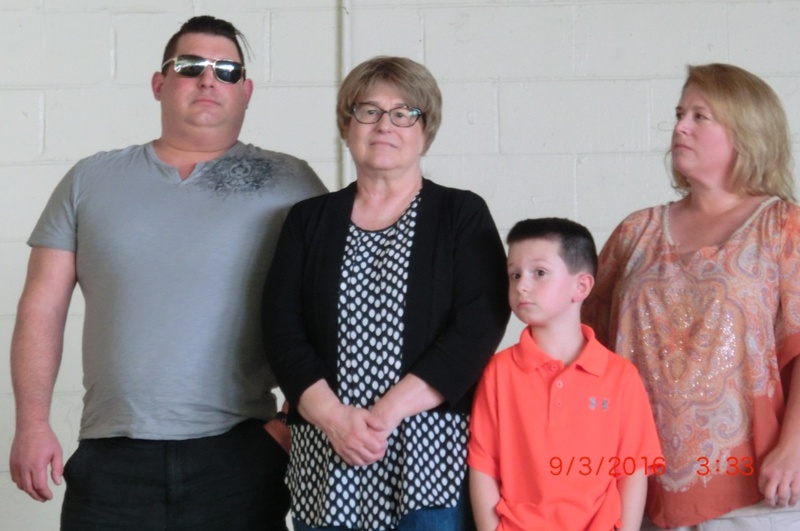 No.6, Buzzy's family: son John T. Weber, wife Patricia (Churney) Weber, grandson Jaxson, daughter Jennifer Uhrinek. No.7, Mayor Rich Lattanzi telling about Buzzy's contributions to Clairton. No.8, Unveiling of the plaque honoring Buzzy Weber. 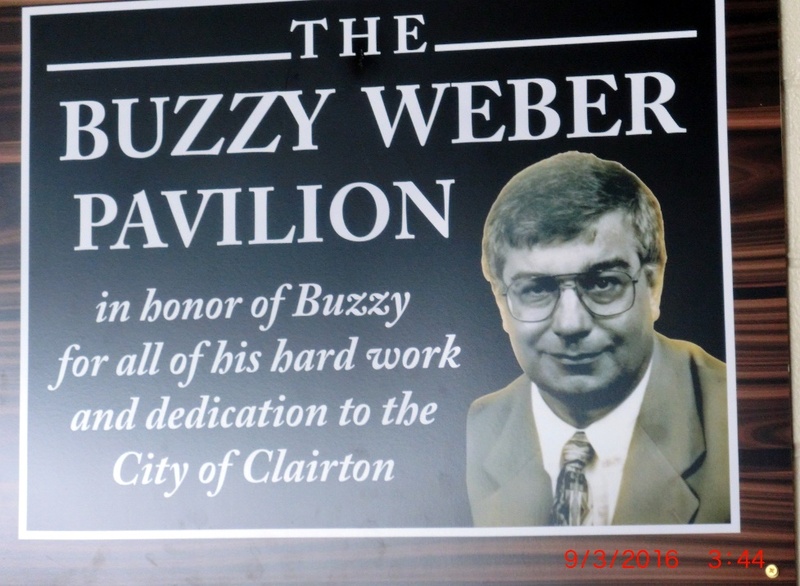 No.9, Close-up picture of Buzzy Weber's plaque now hanging in the Buzzy Weber Pavilion in Clairton Park. No.10, Councilwoman Denise Johnson, Mayor Rich Lattanzi, Patty Weber with grandson Jaxson, Jennifer, John, Councilman Richard Ford.